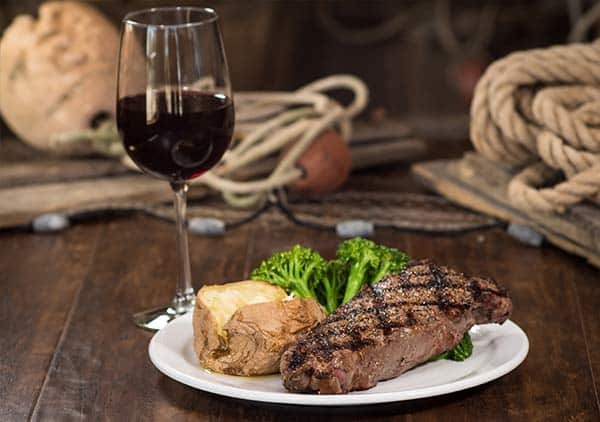 Captain George’s Seafood Restaurant – Kill Devil Hills, NC: The ultimate seafood dining experience! 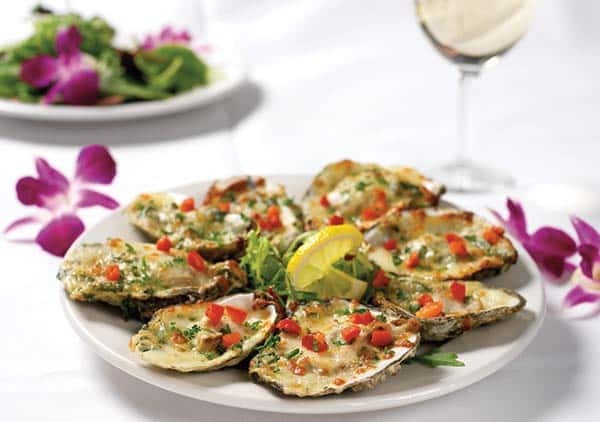 They are unsurpassed with the quality of their cuisine, seasoned professional staff, and welcoming atmosphere. 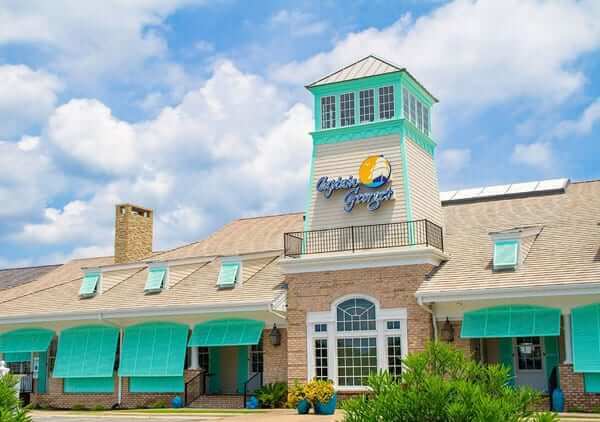 At Captain George’s Seafood Restaurant the food is prepared fresh daily on premise, from homemade salads and dressings to the secret seafood casserole recipes, freshly baked desserts, and authentic Greek pastries. 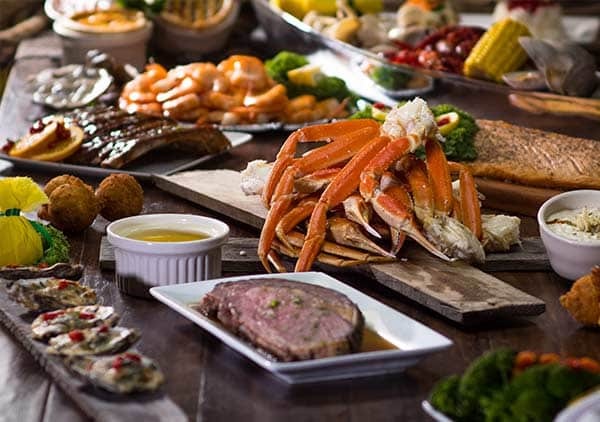 Every member of your party will enjoy an ultimate seafood experience at Captain George’s Seafood Restaurant with over 70 mouth-watering items to choose from. 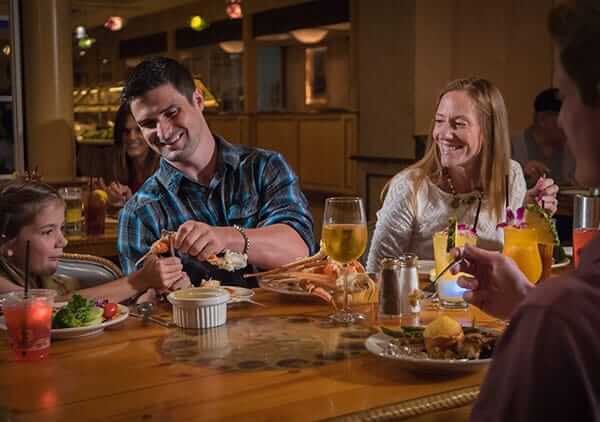 For 35+ years, generations of seafood lovers have returned to sample our family’s secret recipes all prepared in-house daily—from fresh fish and scallops to steamed and fried shrimp, Alaskan snow crab legs, and Oysters Rockefeller. 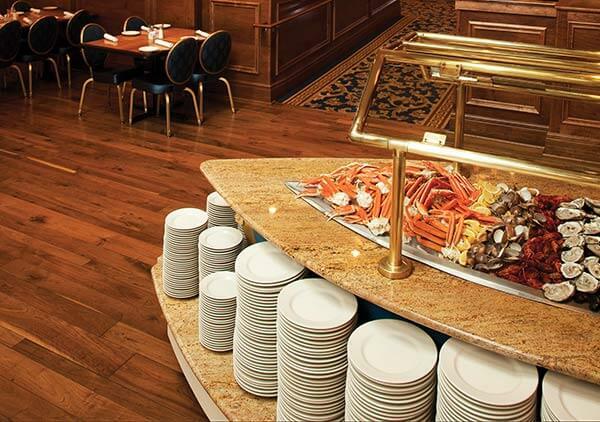 Fresh salads, slow-roasted prime rib, tender BBQ ribs and chicken are always on the menu. 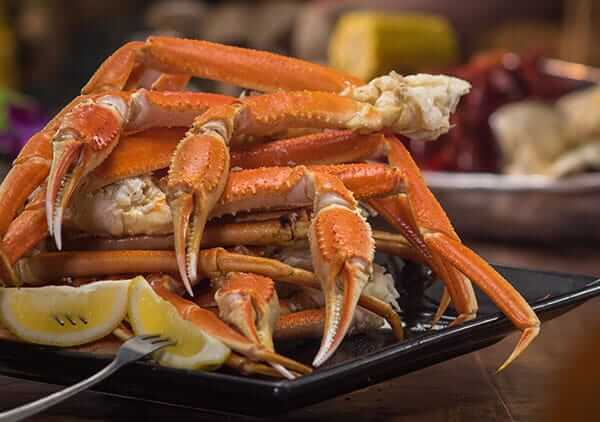 Captain George’s Seafood Restaurant is a proud member of Outer Banks Catch, serving fresh, local seafood. Open 7 days a week, year round. Located at MP 8.5 on the bypass. 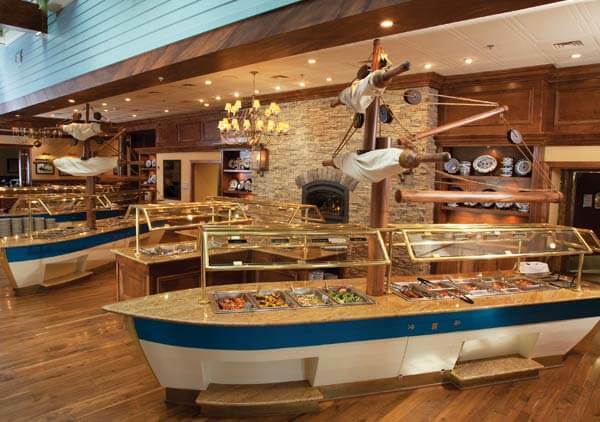 Captain George’s is available for private parties and can accommodate large groups. Please call to find out more.